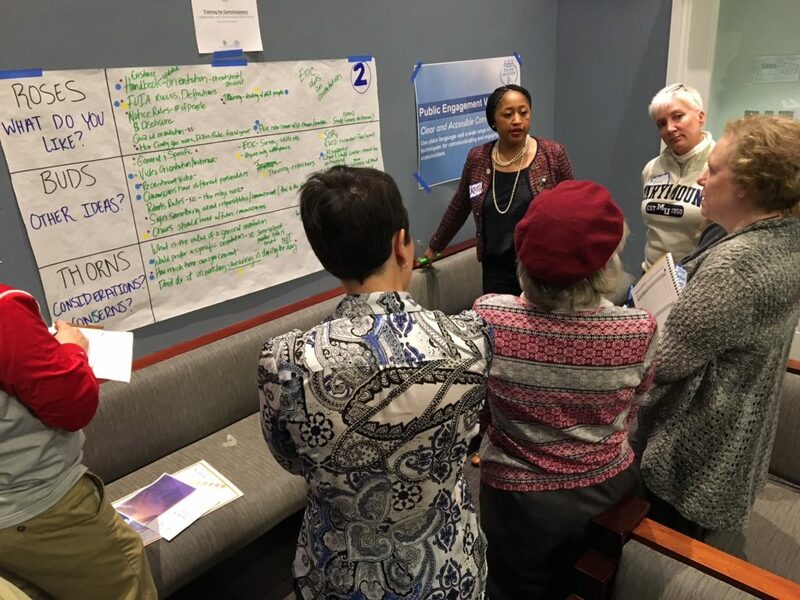 When making decisions that affect our community, the Arlington County Board relies on the advice and recommendations of some 50 standing advisory commissions and groups, made up of hundreds of volunteers with a passion for civic engagement and a love of Arlington. These dedicated volunteers apply their individual expertise to closely examining key issues ranging from transportation and development to human rights and women’s issues. Cristol and Board Member John Vihstadt recently met with more than 30 commission chairs and members to thank them for their leadership and talk about ways the groups can even more effectively weigh in during the decision-making process. 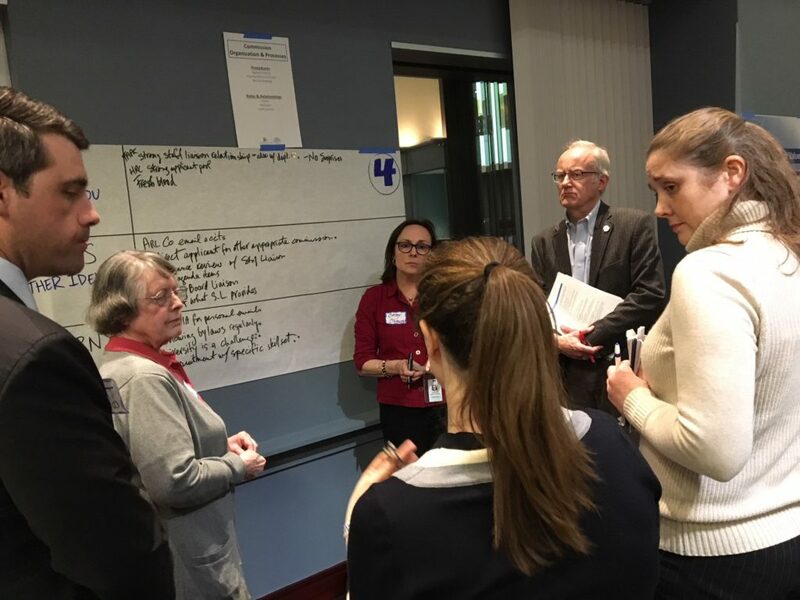 Ideas that emerged from the discussion included new strategies for recruiting diverse and talented commission members, providing onboarding and training for commission members and chairs, and introducing organizational changes to improve operational efficiency. 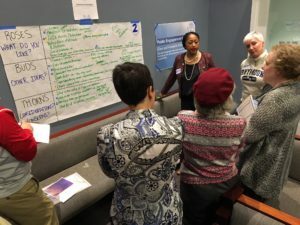 The discussion also yielded ideas for engaging individuals and groups that have tended to be under-represented, including by partnering with community organizations, encouraging commission attendance at community meetings and permitting public participation at commission meetings. The Board plans to reconvene the group later this year to discuss progress made on putting the proposals into practice. 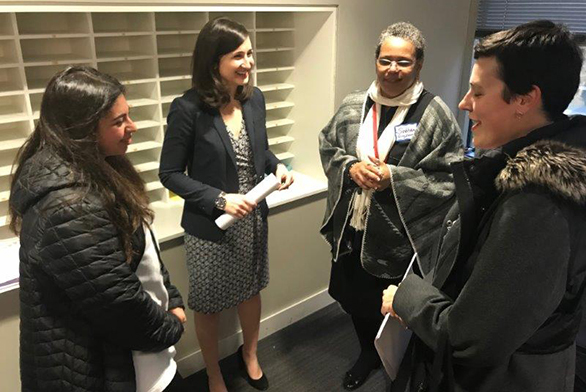 To learn more about Arlington’s 50+ advisory commissions and groups, or to apply to join one, visit commissions.arlingtonva.us.